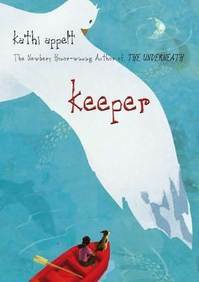 I enjoyed the magical feeling and lyrical writing of Keeper, but it was one of those books I thought was written more for the Newbury committee than for kids. I LOVED The Underneath. Haven't read Keeper yet, but I know the writing will be wonderful as well! Alison-I felt that way a bit too. 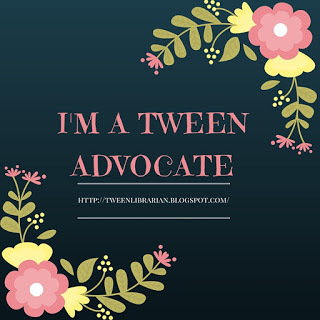 It did take awhile for the story to pick up, so I think readers have to be patient with it and it's something I think that advanced readers would stick with and understand-I think it has a narrow audience within the tween group. This story looks good, but it sounds like it's more one of those tween books that adults fawn over and kids find kind of boring. Have your library kids enjoyed this one? I am curious about the multiple narrators and non-linear timeline. Small Review-I'm not sure about the tweens at my library. Our copies have been checked out, but I think they might be getting checked out by adults and librarians reading mock Newbery lists. I haven't heard anyone really talk about it at the library, so there's no buzz about it at my branch. I think there might be some tween readers for it, but I think it's more appealing to older readers. But the voice is so young, I don't know many teens or older tweens who would pick it up. That's why I think it works better as a read aloud-the adult can stick with it and explain things to the readers that might not understand. It has a lot of Newbery buzz! Thanks for your response. If you do get any kids' opinions, I'd be interested in hearing about them. Read aloud sounds like a good compromise for a book like this. Especially given that you said it moves quickly and has short chapters.